Southeastern Medical Supply, Inc -ADVIEW 2 9005BPS Diagnostic Station . ADVIEW 2 9005BPTO Diagnostic Station - NOW WITH FREE WALL MOUNT ! Basic unit includes: Covidien Filac 3000 Thermometry module, Rechargeable lithium-ion battery; U.S. power cord; 10-foot length of tubing; Adult Plus and Large Adult Plus cuffs; Mini-USB to USB Cable; Quick Reference Guide; Quick start Guide. 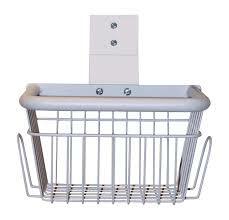 THROUGH YEAR END 2018, SOUTHEASTERN MEDICAL SUPPLY IS OFFERING FREE MOUNTING OPTIONS FOR ITS ADVIEW2 LINEUP. BUY NOW AND RECEIVE A FREE WALL MOUNT WITH THE PURCHASE OF THIS 9005BPTO MONITOR. A $99.99 RETAIL VALUE! Adds a Covidien Filac 3000 Thermometry module to your ADView 2 for an oral or axillary temperature reading in as little as 3-6 seconds. The module features both Fahrenheit and Celsius scales, switchable with the touch of a button, a cold mode for lower ranges, and a built-in, color-coded storage well for the probe and box of 20 disposable probe covers (included). An optional color-coded rectal chamber/probe is also available.